Commercial product photographers need to be able to convey mood in their images – Product marketing is all about making an emotional feeling for the consumer. Elevating the worth of the product being introduced is key to becoming a successful photographer. Many photographers starting out as a product photographer start-off with photos on white, learning to create drama adds another tool in your arsenal. It’s not only different, it’s fun. You become an artist – which after all, is important to define your style. In this lesson, Vadim Chiline, one of North America’s top jewelry and luxury product photographers will show you the basics of dramatic lighting. He will explain how to use basics lights to add dramatic shadows, and how minor changes create enhanced results. You will also see the effect of changing lenses in order to change the perspective and change the weight and apparent geometry of a product. 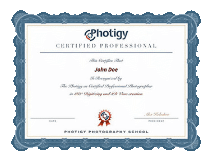 This course doesn’t require any special camera and can be done with any conventional DSLR and regular studio strobes. You don’t even necessarily need a macro lens; A zoom lens covering a range of angles, can do the trick. 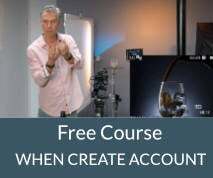 This course is more about how to think dramatically then how to replicate an image. What I wish you to get out of this is how to be aware of lighting basics, as well as changing perspectives.